Relaxing and quiet to drive. Packed with the latest technology. Manifold in head diesel engines. Trailer assist works brilliantly. Spacious boot. Expensive to buy new. No petrol engines. Vastly better with a manual gearbox than with a DSG. 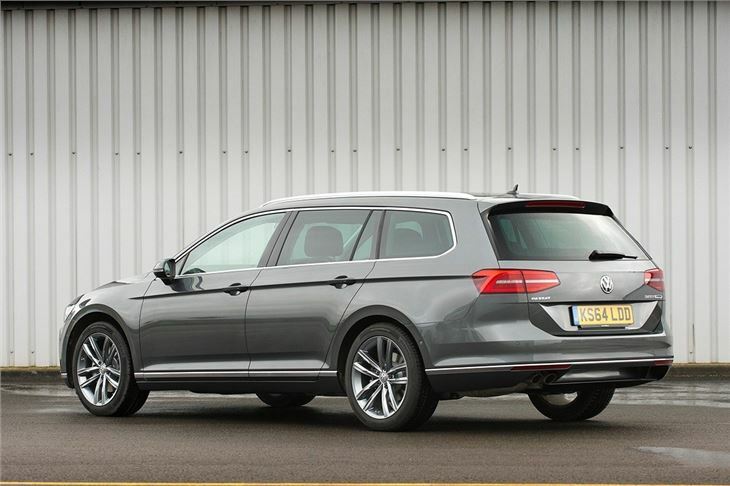 Like its saloon counterpart, the Volkswagen Passat Estate is a significant step forward from the previous model. 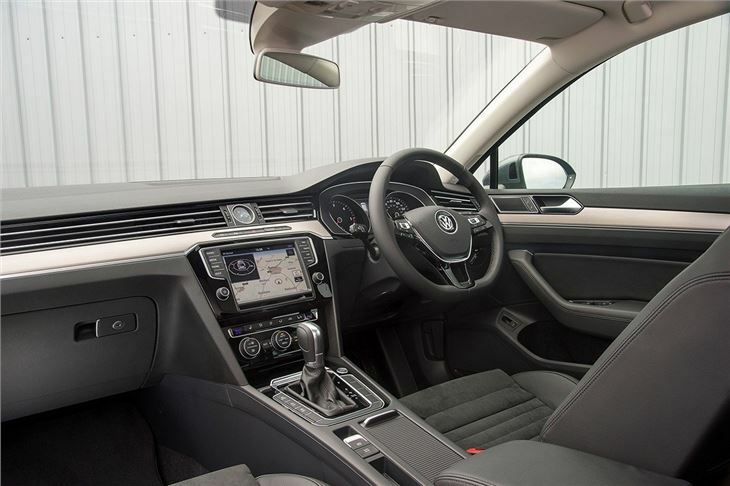 It’s sharper-looking, more spacious, more comfortable and packed with the latest technology. The all important load space has been increased - up to 650 litres from 603 litres, expandable to a huge 1780 litres by folding the seats. But not only is the load area large but it is also user-friendly. The load lip is low and the opening is wide, so getting items in and out is easy. 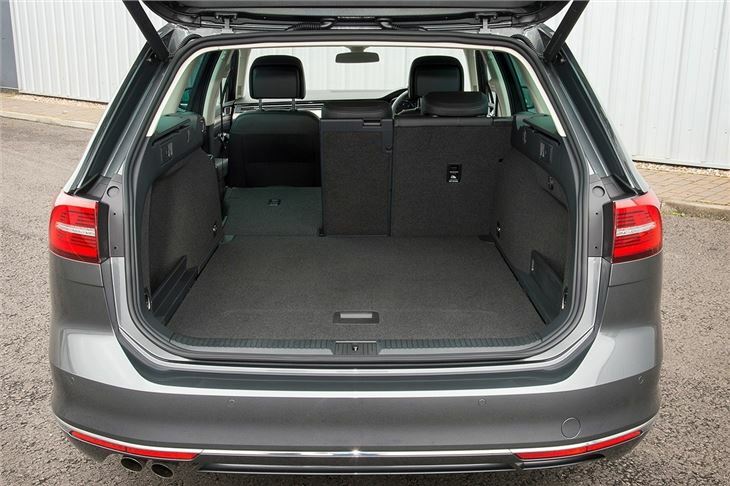 There’s a variable height boot floor which is simple to adjust and the split rear seats tumble forward with one-touch levers, leaving a flat load area ideal for bigger items. 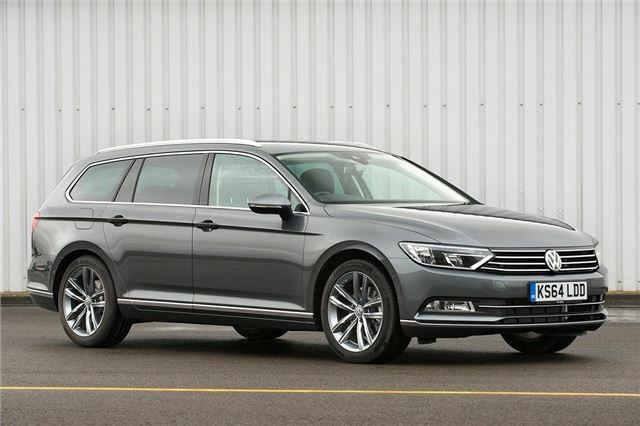 Like the saloon, the Passat Estate has a diesel-only engine range with four choices, ranging from a 1.6-litre with 120PS to 2.0-litre with 150PS, 190PS or 240PS in BiTDI form. The latter has a very impressive peak torque figure of 500Nm and is offered exclusively in conjunction with a DSG automatic transmission and all-wheel drive. 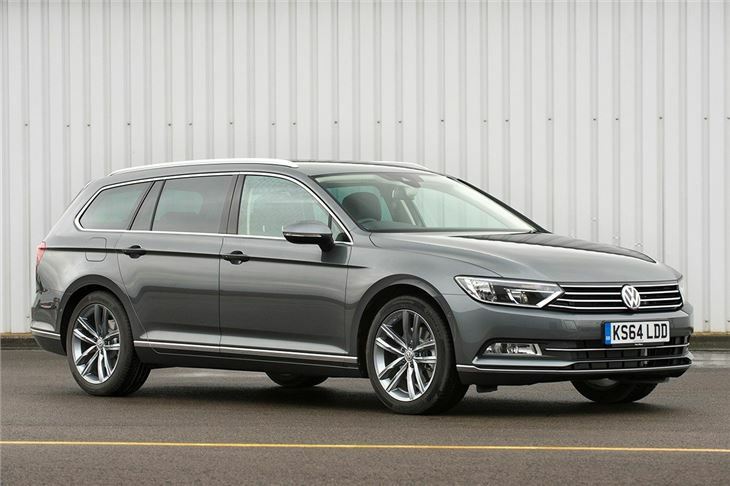 The Passat Estate is a good choice of tow car, rated for braked trailers up to 2200kg for the top 240PS model, or 2000kg for the 150PS diesel. One piece of technology that will really help is trailer assist, which will reverse a trailer in a straight line or at a set angle automatically. It also includes a camera to aid with hooking up. Trailer assist is one of several high tech features, including advanced cruise control with lane assist. When specified in conjunction with a DSG gearbox this can bring a car to a halt in low-speed traffic, then follow the car in front at slow speeds automatically. 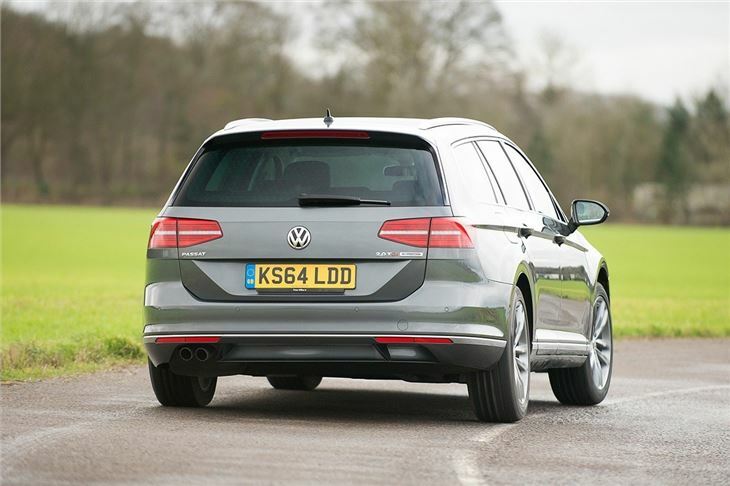 The system also includes collision mitigating braking, plus there is a head-up display on offer. 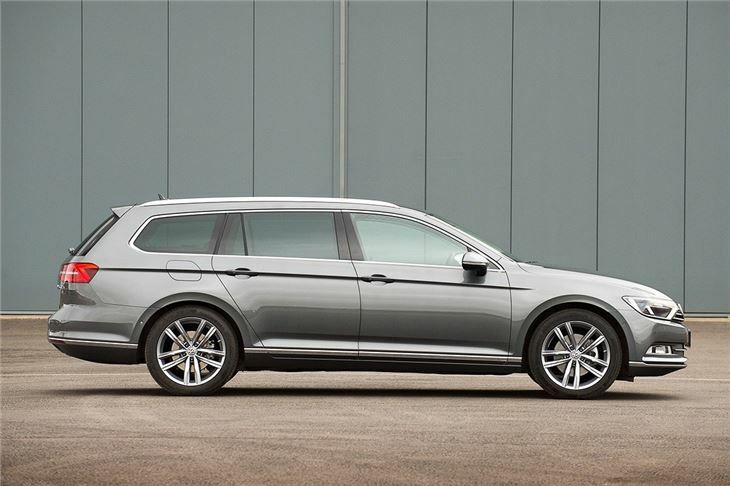 The Passat Estate is a very impressive car, offering plenty of space, good performance and high levels of comfort. It’s especially appealing as a tow car, particularly with the optional trailer assistance system installed. 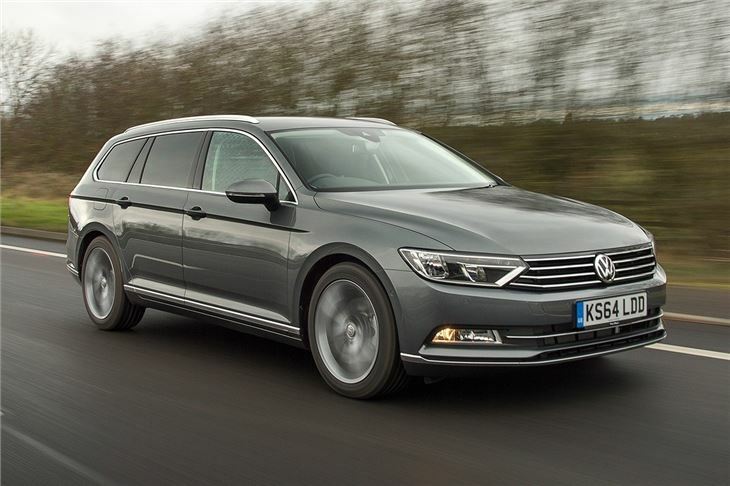 The Passat is fairly expensive, however, while the lack of a petrol option might be a problem for some buyers, particularly low-mileage drivers.